Change management is a critical part of any project. It leads, manages and enables people to accept new processes, technologies, systems, structures and values. It’s the set of activities that helps people transition from their current way of working to the desired way of working. Many projects fail to deliver the expected benefits due to individual, organisational and cultural factors that are not well understood or addressed. As a result, the target stakeholders are unable or unwilling to embrace and sustain the change. Communicating, reflecting and implementing change management strategies requires a blend of analytical rigor, interpersonal awareness and execution discipline. 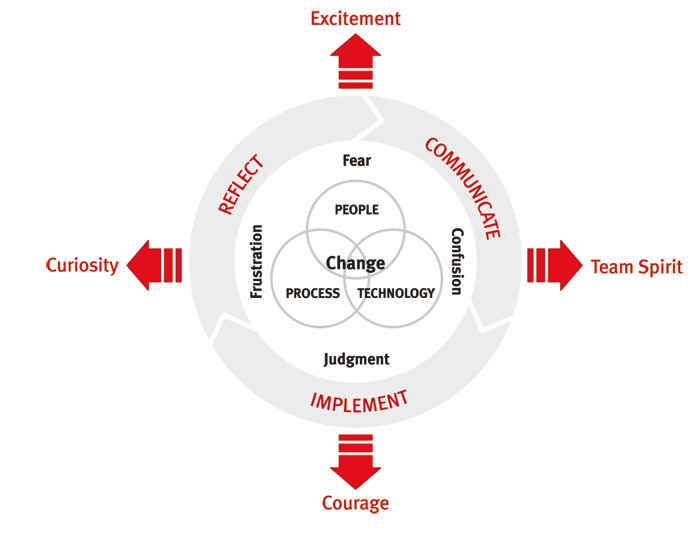 The focus of change management is to address the people and organisational factors that will both drive and obstruct change throughout the organization.